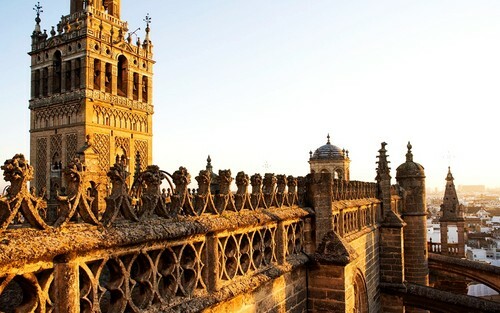 Seville Cathedral. . HD Wallpaper and background images in the Spain club tagged: seville cathedral cathedral of saint mary of the see catedral de santa maría de la sede seville andalusia spain. This Spain wallpaper might contain kremlin, grès brun, brownstone, quartier des affaires, le centre-ville, centre d'affaires, and au centre-ville.